Want to get fit? 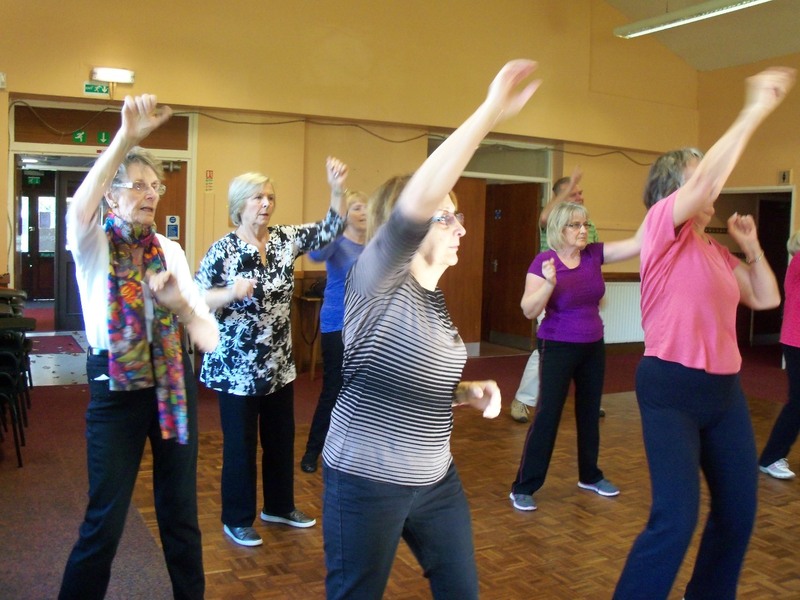 Join our mid-tempo Zumba class! Note: Dates for your diary:- There will be no classes on 21 February, 11 and 18 April and 30 May. For further information, please contact the Coordinator..
Zumba was dreamt up by Alberto (Beto) Perez in his native Colombia in the 1990s, but not marketed worldwide until after he moved to the United States in 2001, it was never intended to be an all female activity but that seems to be the strong trend, at least with the U3A classes. 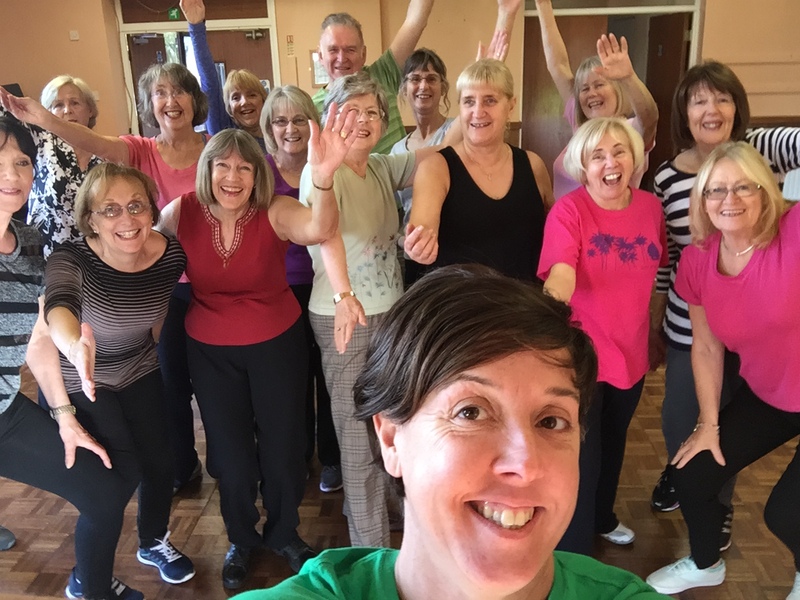 Our Zumba Class tried out the new ‘in’ fitness craze called Clubbercise with Helen, our teacher. 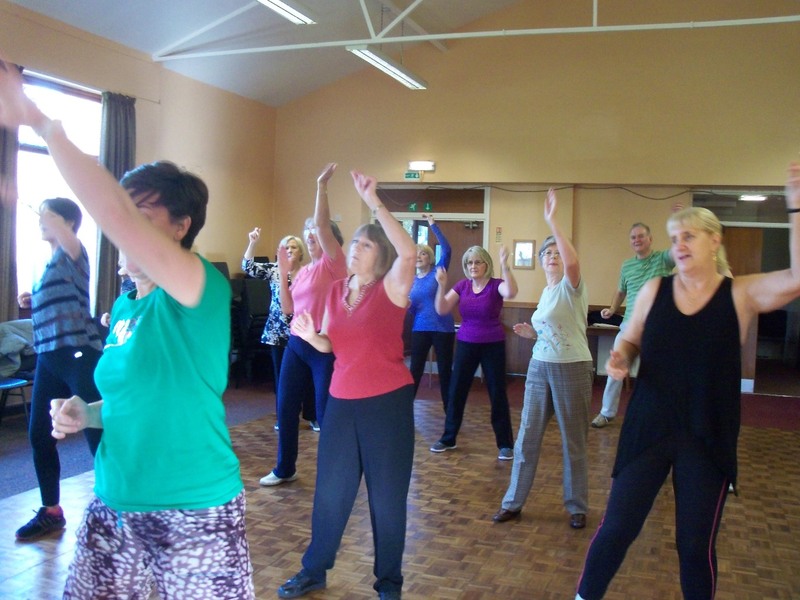 It has dance fitness routines using rave glow sticks to club anthems, from ’90s classics to the latest chart hits, taught in a darkened room with Disco lights!